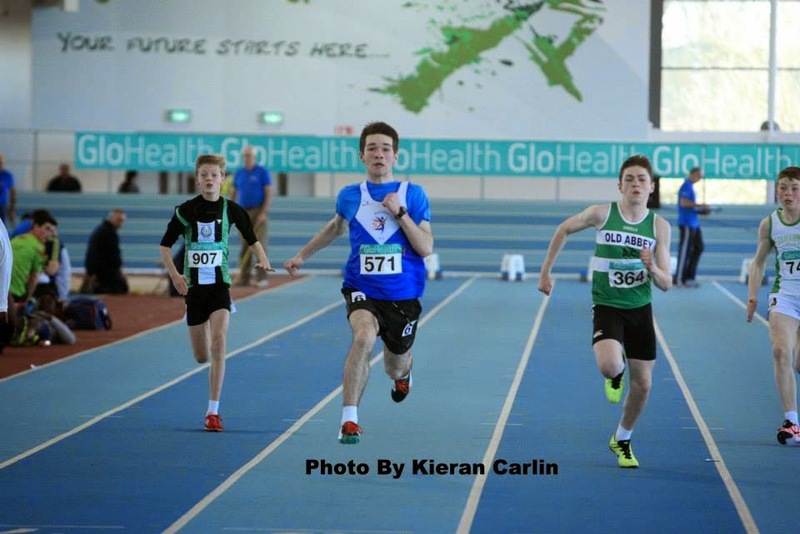 New championships best performances (CBP) came fast and furious on day 2 of the national indoor juvenile championships in AIT and glad to report that the Ratoath athletes were right in the thick of it. Pride of place goes to Matthew Buckley who once again dominated his u 14 60m final to claim the gold in a CBP of 7.63 sec. Matthew will be trying for the double next weekend when he goes in the 60m H. Emma Coroner was close to her best in the u 14 60m heats but just failed to make the final despite running a fast 8.52sec. Lili O Connor was ultra consistent in the L/J but her best of 4.32 m left her in fifth and just out of the medals. Lili's favoured event is the 60m H which takes place next weekend and we wish her the best in that. 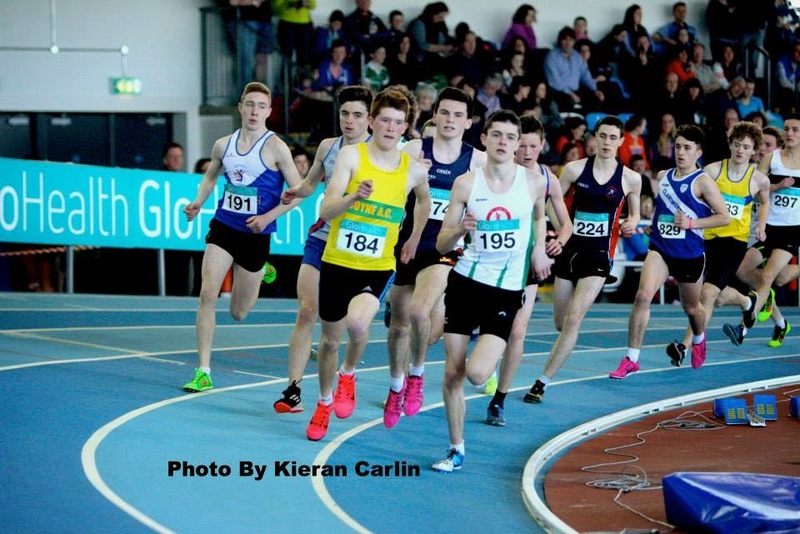 Philip Marron ran an indoor PB of 4 min .13.03 in the u 18 boys 1500m and despite a really strong finish, he was just outside the medals when taking 4th. 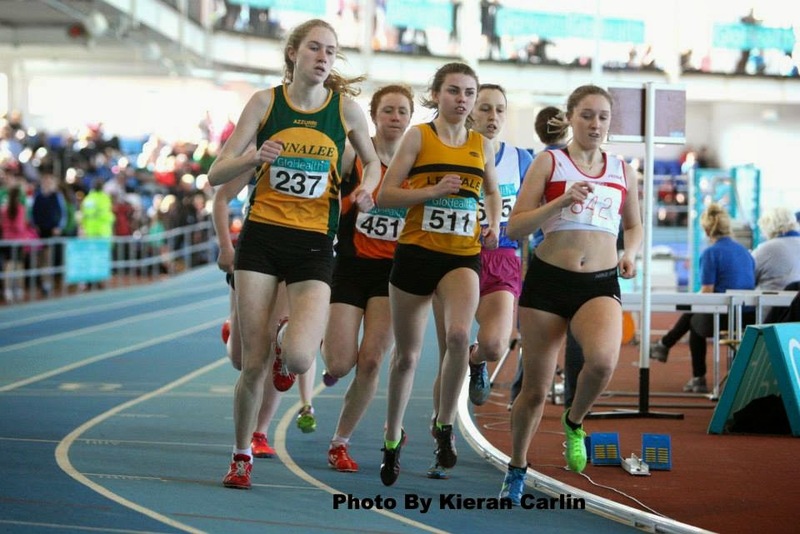 Deirdre Healy kept her haul of national medals ticking over when running yet another PB of 4 mins 45.91 in the u 19 1500m, finishing a close third behind Louise Shanahan and Clodagh O Reilly. 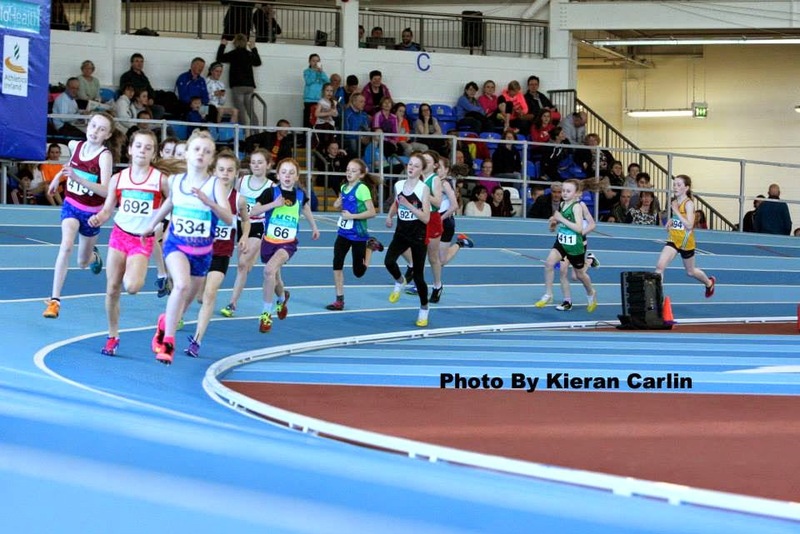 When the going gets tough, the tough get going and that summed up Aimee Doherty's attitude in the u 12 600m as she threw down the gauntlet to the rest of the field with a blistering 33 sec opening 200m. Aimee was only caught in the closing stages but she hung on for third in wonderful race when posting 1 min 47,71 sec. Tom Kilgannon is another of our young and highly talented middle distance group and his 9th place (1 min 45.71) in the boys u 13 600m will keep his big brother Peter and the rest of our older group on their toes as there is a new up and coming kid on the block.